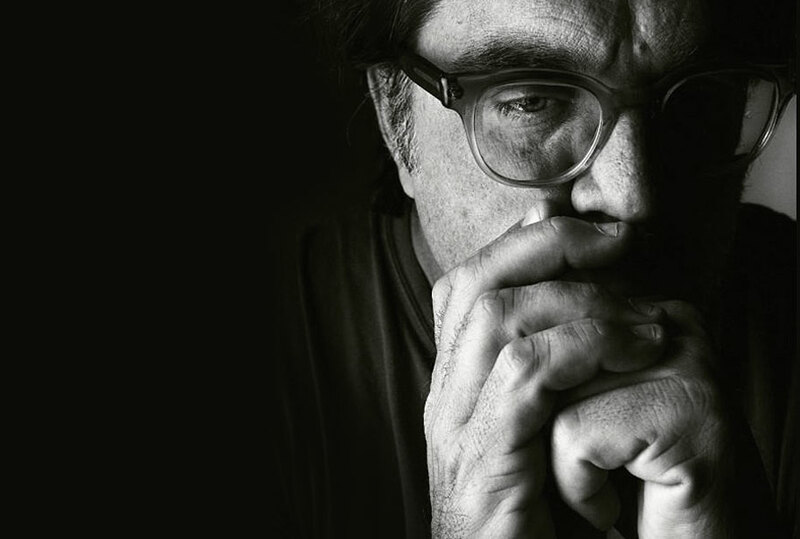 Mark Pellington is the director of ARLINGTON ROAD (1998), THE MOTHMAN PROPHECIES (2002), HENRY POOLE IS HERE (2008), I MELT WITH YOU (2011) and THE LAST WORD (2017). Getting his start in MTV, Pellington was responsible for such exciting, innovative music videos as U2's 'One' and Pearl Jam's 'Jeremy', amongst many others. He is also an in-demand director of TV pilots, and executive produces the hit series Blindspot. 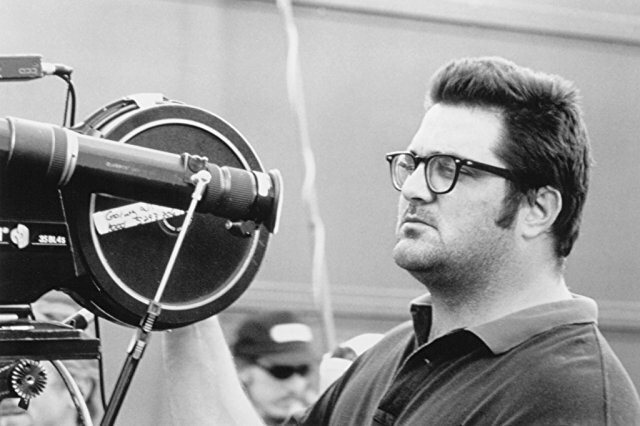 Pellington directs short films and documentaries as well. 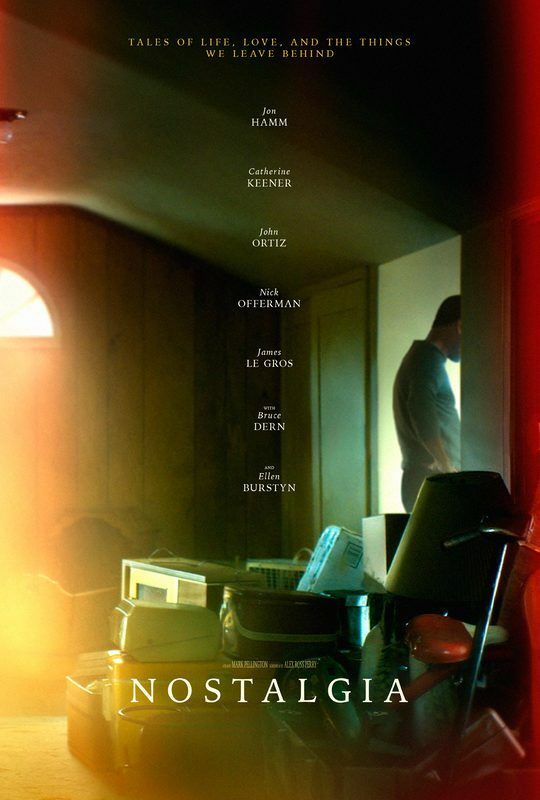 His new film NOSTALGIA is a moving meditation on loss and our relationship to objects, and boasts an amazing cast that includes Jon Hamm, Bruce Dern, Ellen Burstyn, Catherine Keener, Patton Oswalt and John Ortiz. I spoke to Pellington about how he got the initial idea for the film, collaborating with Alex Ross Perry on the screenplay, how personal the film is, the influences on the film, and working with the actors. What was the initial spark that led to NOSTALGIA? I've always had a lot of interest in memory and identity and mortality. I specifically read an article in the New York Times titled 'What is Nostalgia Good For?'' that I found really interesting. I put it away in a file thinking it could be the idea for a movie, but I had no idea what it would be. I thought it might even be a book. 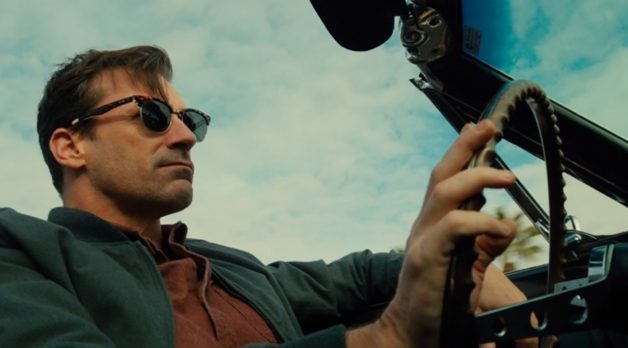 When I decided it could be a film, I contacted Alex Ross Perry because all of the ideas are sentimental and I wanted a writer who wasn't sentimental. I'm surprised that some of the reviews have bashed the film for being sentimental, but that's okay. I was interested in exploring the honest feelings of people going through loss. When you got in touch with Perry about collaborating, was having him direct it at all on your mind? No, it was always for me to direct. He had written things for other people, like CHRISTOPHER ROBIN for Disney, and he was a fan of I MELT WITH YOU. It was an assignment and a place for him to make some money pretty quickly whilst exploring themes that he was interested in. He could also create the structure on his own. I wasn't asking him to stick to some tight Hollywood system – it was fairly freeform in structure. He had a lot of creative freedom in that very little changed from what he wrote and what I made. As the producer I could have changed a lot if I had wanted. He's a very specific voice and I love his writing. When he delivered his draft, it attracted a lot of the actors. It's personal, but it's not autobiographical. My brother was the primary one who dealt with my mother when she was moving out of the house to live in a retirement community, but I have personally gone through my family's possessions with siblings like the characters in the movie. My house was also destroyed by a fire. I've had a lot of friends who have gone through the experiences you see in the movie. I felt nobody was making a movie about these things. I wanted to make a film that was driven by the emotions of the characters rather than the plot. At what point did you come up with the color motifs that occasionally wash over the screen and separate the stories? It was during editing. I've never seen a simple transitional device in a movie, and I wanted it to be like the spaces between songs on an album, and to hear a bit of distortion and analogue sound. I wanted the color to represent a transition between different states of mind or subconscious states, or different ways of experiencing something, and then have the intertitles cut to black. I found it extremely effective. I did a Q and A where there was a woman who said she found the motifs terrible. It's very interesting how polarising the response has been to the film. It's kind of like the reception to I MELT WITH YOU. There's very little in between - people either really like it or really hate it. Although I have to say more people like NOSTALGIA than they did I MELT WITH YOU. There are those that say the film is sentimental, manipulative and a tearjerker. I was positively trying to not make a film like that. I really was. Every story in the film is about loss. I'm not trying to hide that. It's meant to be a meditation on loss, and an analysis on, ultimately, the relationship between objects and death. I felt watching the film that it was obviously made by people who had lost people. It didn't have a Hollywood-style representation of grief. It felt very real and the emotions convincingly ambivalent. I've experienced the loss of my parents and my wife, and the grief goes through different stages. I was on a plane last night, coming home from New York where I was prepping a TV pilot that I am getting ready to do, and I watched MILLION DOLLAR BABY (2004), the Clint Eastwood film. I don't know how I missed it, but I had never seen it before. That movie is just devastating. I was experiencing grief via that movie that I had not felt in five or six years. It was so raw and so cleansing. For a good 45 minutes on the plane, in the dark, I cried and it was obviously what I needed at that time. I was at that stage in my own grief. I was reliving it all and accepting the losses that I had experienced. I think this was felt through Ellen Burstyn's character in NOSTALGIA where the house fire really restimulates her grief, yet at the end she kind of had to let it go. Giving up the baseball was a big part of her accepting that. Like she tells Jon Hamm in the film, her selling him the baseball will mean nothing to him, but everything to her. Alex really explored all these layers in his writing. It's not traditional storytelling. It's a sad film, and structurally it doesn't have cause and effect or a plot, which is what audiences expect. But if you watch the movie for what it is, you can certainly appreciate it for its intent and get more out of it and be affected. It's the kind of experience where what people get out of it is based on what they have gone through in their own lives. I find it interesting that you mentioned being influenced by Clint Eastwood, since I felt your directing style on the picture recalled his style. There were not many cuts in the dialogue scenes, and you let scenes run long. I thought the longer scenes helped portray the awkwardness of people talking about, and dealing with, loss. That was very conscious. I think the movie I was most inspired by the most was Michael Haneke's AMOUR (2012). I like him a lot. I thought I would just make something really simple and very still, and have confidence in the composition and in the actors. In retrospect, I would have used even less music. If I had the chance to go back in again, I would remove three more cues I think. You assembled an amazing cast of veterans and younger actors who have all had their own experiences dealing with loss I would imagine. Did you have any interesting conversations with the cast about loss? I had more conversations with Bruce Dern because we had more time on his shoot. When I met Jon Hamm I found out he had lost his parents at early ages, so he had a very particular perspective on loss. When I first texted Catherine Keener after she first read the script, she was only two weeks out from having lost her Dad. So her doing the sobbing in the movie was very personal and unique to her. 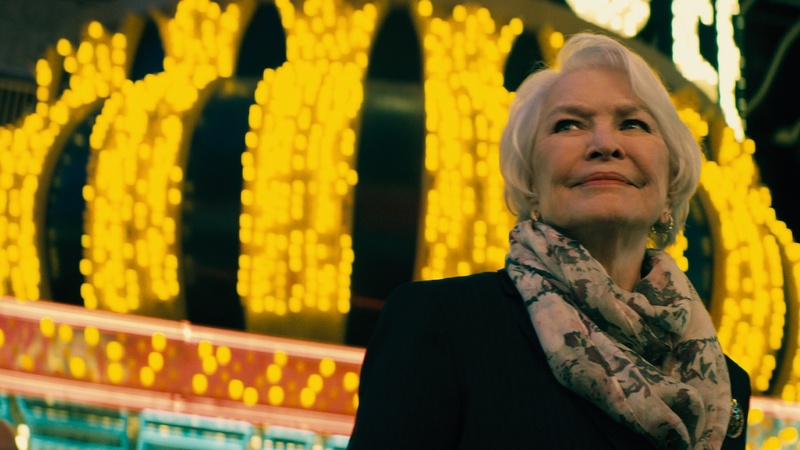 I didn't really get into much personal history with Ellen Burstyn because she flew in from New York, and I only met her the day before we shot. We didn't really have a lot of time together. But she's such a lovely, lovely woman. Amber Tamblyn was someone I already knew, so we had spent some time together previously. Each actor read the script, responded to it, and decided to join on. 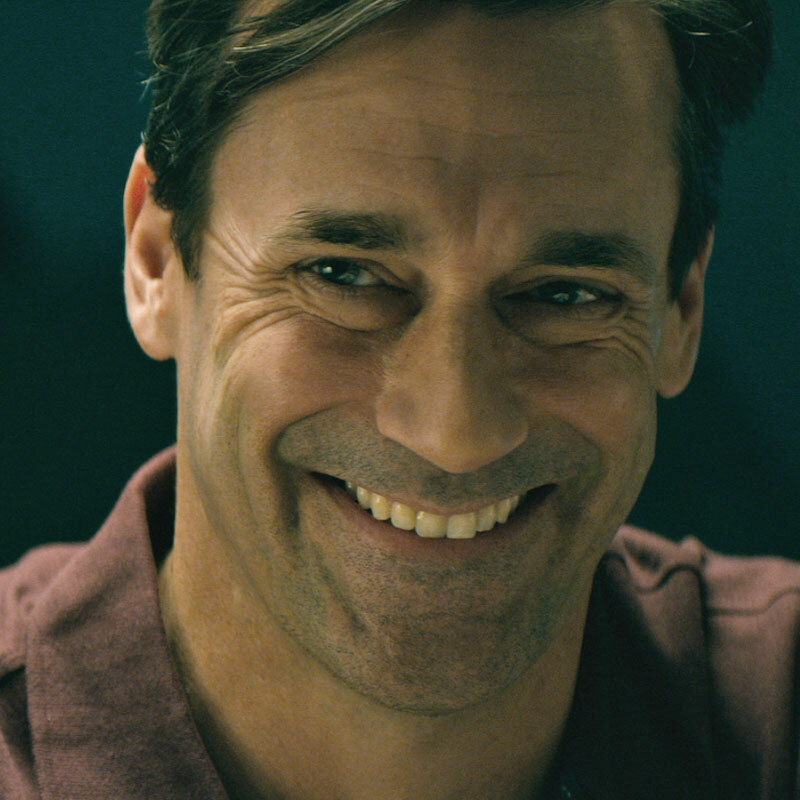 What was it about Jon Hamm that made you want to cast him? 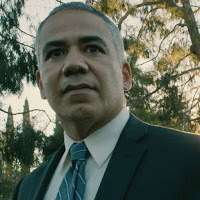 I feel he's a very underrated actor, even considering his acclaim on Mad Men. He's terrific in the film. I agree that he's underrated. I wanted someone who was charismatic. We sent it to him through his agent Chris Andrews, who had been very helpful on I MELT WITH YOU. I knew that he had a lot of clients. I asked him if he wanted to play the insurance adjuster because at the time I felt that that was the bigger role, but he said he wanted to play the memorabilia guy. Was making the film a cathartic experience for you? Every film I have made has been cathartic. I finished it in the summer of last year, so it's been a while, and watching it again it brought up the shooting and certainly the editing of it. Once a picture is locked, I tend to drift away from it, but it was definitely cathartic. I am very glad I made it. Do you think it changed you as a filmmaker at all? Are your films from now on going to be any different? I doubt that the next film I do will be slow and personal like the last four films have been on some level. I think I want to do a bigger movie, a genre movie, next. Making films that are so connected to me can be a little draining, and they are harder to get made too. Do you hope that the film will have a healing effect on audience members who are wrestling with similar issues to the characters? I would love that. I've definitely had that reaction from certain people. I hope it helps people reflect, to see themselves more clearly and have somewhere to put their pain. Did you feel there was a resistance to getting the film made and difficulties getting a distribution deal given the subject matter deals with death? Absolutely. 100%. It was difficult, even though we had a great ensemble cast. I wrote a note to the head of Bleecker Street thanking him for distributing the film. When I started thinking about a marketing model, I thought the worst case scenario was that a company like IFC or Magnolia would put it out in four theaters and then onto VOD, and Bleecker Street are putting it out to 70 cities in something like 150 theaters. I'm very happy with that. The spandex movies gobble up everything else. Do you think you could have made this film at any other point in your life or career? I feel like my last four films - HENRY POOLE IS HERE, I MELT WITH YOU, THE LAST WORD and now NOSTALGIA - are all personal films that signpost where I was at that time in my life, the same way that my music videos are. I'm currently working now on a project that might be a silent film about a photograph. The challenge is to tell a story completely visually and do it on a lower budget. In your recent films you've got to work with older veteran actors like Shirley Maclaine, Phillip Baker Hall, Ellen Burstyn and Bruce Dern. What has been the most rewarding aspect of that for you? They're so experienced. They have so many stories and I have so much respect for them as humans. They bring so much craft to their work. They're just so good. It's like watching musicians. They do still need and want direction, maybe a little less. Mostly I just leave them alone. In the final scene of NOSTALGIA, the young actress, Mikey Madison, was completely in the zone and I barely had to speak with her. She was in the zone from the moment I cast her. Even critics of the film still say the performances are good. It's the least I've directed actors on a film ever. I only had to guide the actors, but not much. Compared to your previous films, how do you feel about the critical response to the film? I've just accepted that I am not a critical darling. I've got my fans and there are certain critics who just don't dig my work. I think my work is always different and some people appreciate that, like the way a band will put out different kinds of albums and their fans will appreciate them. Others just like certain things you've done. I don't think people in the industry care that much. After the response to I MELT WITH YOU, I wondered if I would ever work again, but I've gotten work based off of ARLINGTON ROAD or a success I've had on TV or whatever. The studios don't see some of these films that have polarising or negative receptions. I think people appreciate that I make different kinds of movies, some of them personal, and that I work with good actors. NOSTALGIA is on limited release now, and will be released on Blu-ray and DVD on May 1st, and digitally around that time. Part one of MiL's interview with Pellington on his previous films.